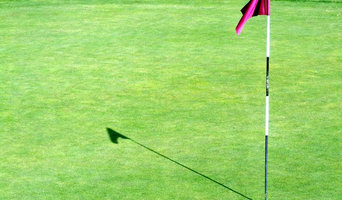 We bring more to the table then what you would expect in a typical Boise lawn company. Discover the difference. At Serenity Lawn Care Boise we believe that lawn maintenance shouldn't be just mowing but it should be exactly how it sounds "care" and this is how we choose to take care of every lawn, with the care it needs. We specialize in Boise lawn services but have a wide range of services including lawn aeration, fertilizing, tree and shrub care, commercial lawn maintenance, landscaping, sprinkler start ups and blow outs, as well as spring and fall clean ups. Since 2001 we have been using our knowledge for general lawn services as well as our hard work ethic to make sure that not only do our customers lawns look great but that the relationships that we have with our customers are even better! At Serenity Lawn and Landscape we are dedicated to providing you with the very best service possible. We take a lot of pride in the work we do, and even guarantee it! Peace of mind is personally knowing your lawncare professional, enjoying their conversation, and not worrying about the quality of workmanship because it's always top notch. That's the great service I bring to every job - mowing & trimming, pruning trees, or blowing out the sprinklers. 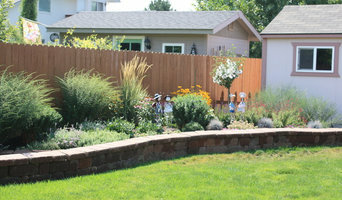 Idaho's full service lawncare and landscape maintenance expert, I serve Boise, Eagle, Meridian & Nampa. Call today for a free estimate on your lawncare. From landscape design and installation to regular expert maintenance, no one gives Boise and the Treasure Valley area a greener garden than Safari Lawn Care & Landscaping. Call us for commercial and residential landscape contractor service. A gorgeous landscape can do wonders for your property. You can increase the value of your home, or attract more customers to your business. If you want to transform your yard into an Eden on Earth or to keep your garden healthy call Safari Lawn Care & Landscaping. 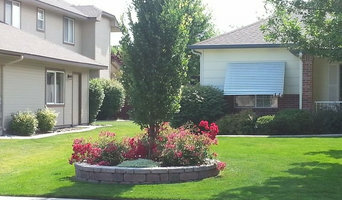 We've delivered top-quality landscaping contractor services to Boise and the greater Treasure Valley Area for 26 years. Let us continue bringing you unparalleled service - call now. 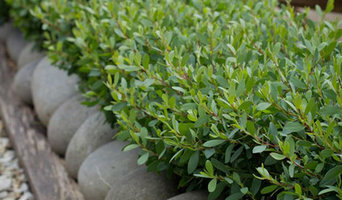 We are a full service, high quality landscape management company specializing in complete landscape care. From weekly maintenance to sprinklers to all natural fertilization, we can take care of it all. Here for all your landscaping needs! Lush Lawn Care Pros is a locally owned and family operated professional team of lawn care service experts focused exclusively on lawn care maintenance. We provide service to major areas of Ada County such as; Boise, Eagle, Meridian, Star, and Kuna. 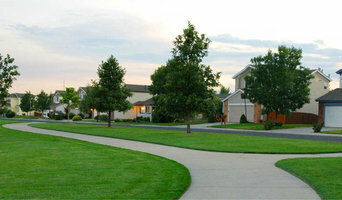 Stark Sprinkler & Landscape is an experienced team of landscapers who specialize in all aspects of our trade. We can design and install complete landscapes, maintain existing grass, trees and shrubs and also repair and install irrigation systems. If you're experiencing issues with your sprinklers or would like to have an automatic system installed there is no company more qualified in the area to handle the job. Why should I hire a Boise, ID lawn care services company? Lawn care services in Boise, ID will be able to maintain large lawns by installing sprinkler systems for you and carrying out lawn treatments to keep your grass healthy and green. If you have a particularly large outdoor space to tend to, it could be worth hiring a Boise, ID groundsman to come and weed your lawn, remove moss and care to your sprinkler system on a regular basis. However, for most of us this probably won’t be necessary, but it doesn’t meant that you won’t need a lawn care professional at some point. For example, when planning a garden makeover you may need their services if you intend to include a patch of grass in your garden design. Lawn specialists can lay new grass and advise you on new lawn care so that you can keep your patch of grass, no matter how small, healthy and green for as long as possible. Or, if you inherit a lawn from a previous owner but aren’t sure what to do in the colder months, speak to Boise, ID lawn care services about winter and autumn lawn care. You may find that the groundsman or lawn care services professional you speak to also works closely with Boise, ID landscape gardeners who can help you with more aspects of your garden renovation and sprinkler system. Here are some related professionals and vendors to complement the work of lawn & sprinklers: Landscape Architects & Garden Designers, Landscape Contractors, Garden & Landscape Supplies. Find a lawn and sprinkler specialist on Houzz. Narrow your search in the Professionals section of the website to Boise, ID lawn care services, groundsmen and sprinkler system companies. You can also look through Boise, ID photos to find examples of lawns and sprinkler systems that you like, then contact the Boise contractor or groundsman who worked on them.